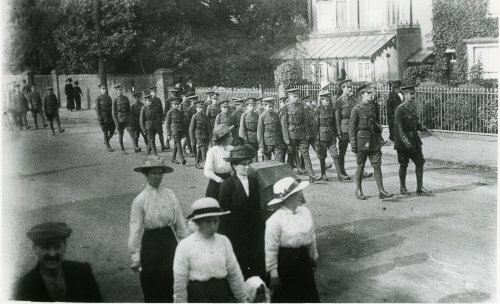 Soldiers from the first world war parading down Loughborough Road. The house with the verandah was known as Rose Cottage. It was demolished in the 1960s to make way for a petrol station. There are now three houses on the site.